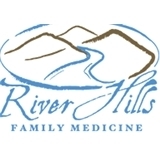 River Hills Family Medicine (Austin) - Book Appointment Online! At River Hills Family Medicine, we have carefully integrated the treasured qualities of the art of medicine with the modern technologies that continue to improve our profession. It is our promise to you that you will be treated with respect and that we will take care of you through each point of service. In addition to Primary Care we offer Bioidentical Hormone Replacement Therapy, Ideal Protein supervised weight loss system, ADD and ADHD prescription management, as well as Xymogen Supplements and EltaMD Skin Care products.